SKU: TM000204. Category: Accessories. Tags: Computer Accessories, Type-C Adapter. 1. 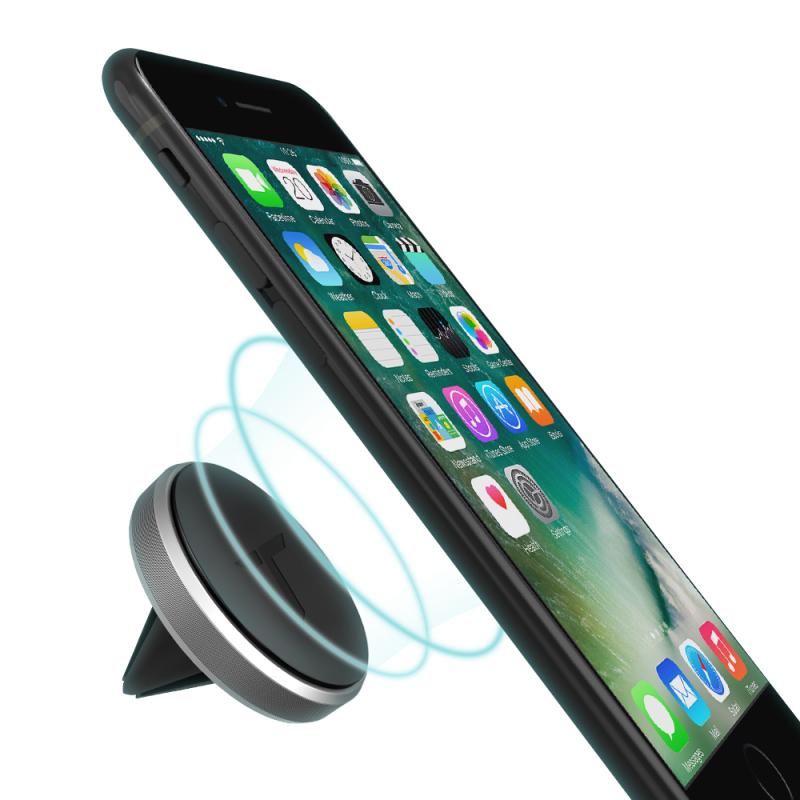 For stable connection, do not use this hub with high power-consumption devices, such as Apple SuperDrive / iPad / other tablet. 2. 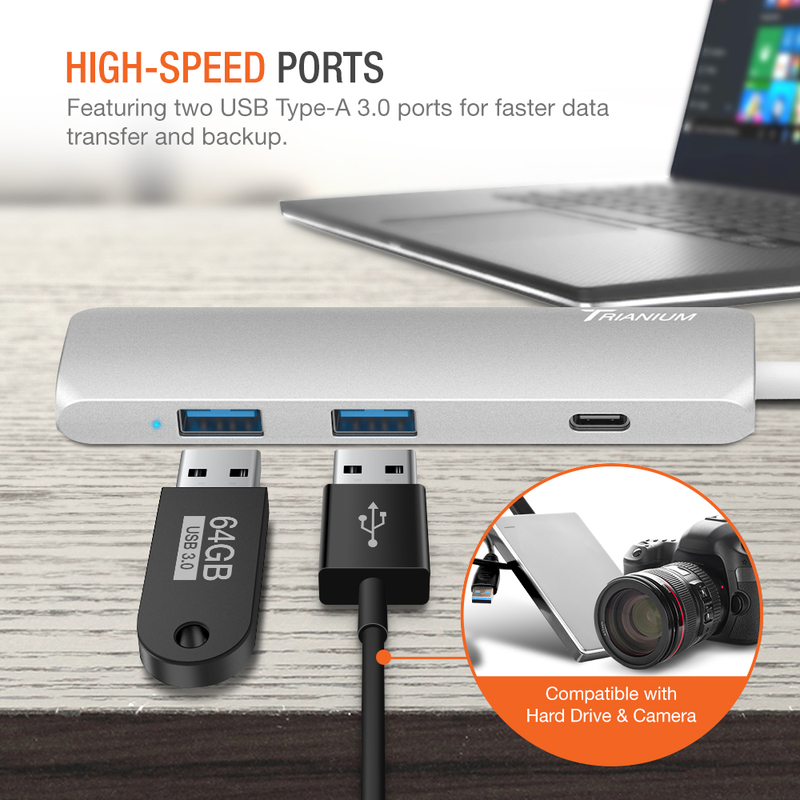 To use the Power Delivery function to power and charge a connected USB-C laptop, the USB C port from your device must support USB C Power Delivery. 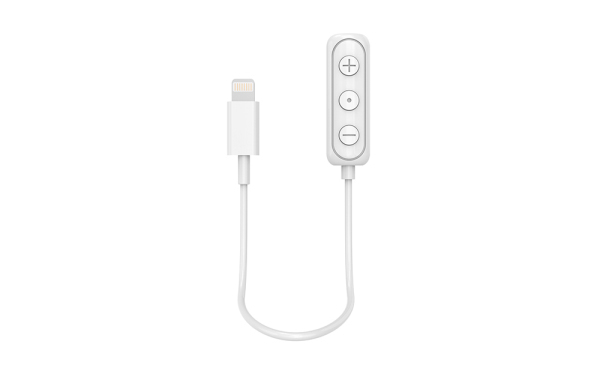 The USB-C charging port on this product cannot be used for data transmission. 3. Please do not rely on the USB-A ports for charging your device. The port outputs up to 5V/1A. 4. Support Multiple flash drives, but can only support one external hard drive at a time due to the power requirement. 5. 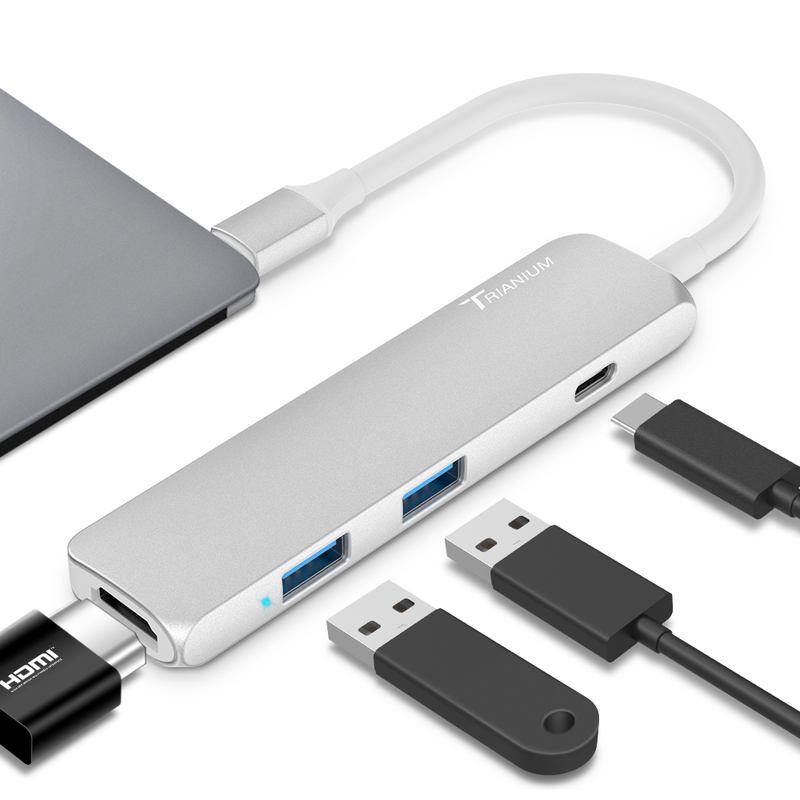 Does not support pass-through charging for HP laptops / Asus Zenbook 3 / Transformer3 Pro / Samsung TabPro S via the PD USB C charging port. 6. Use your original or certified cable for charging. 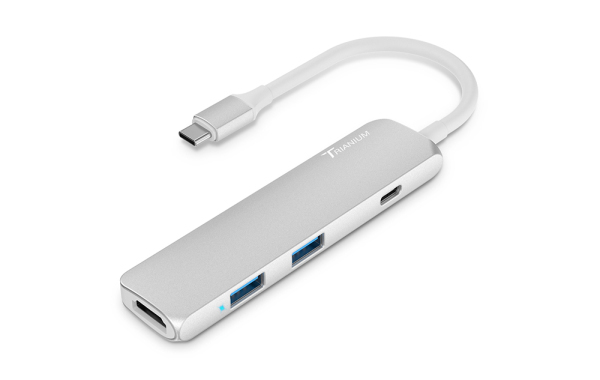 Trianium’s Type-C Hub is equipped with your everyday port necessities, all in a single adapter. 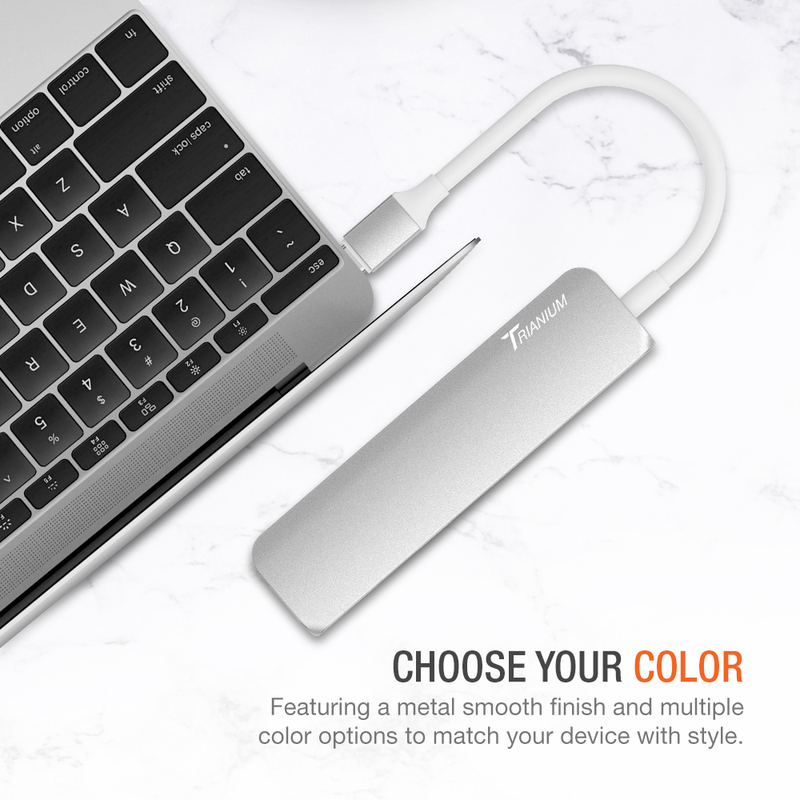 Specifically designed with Type-C charge through for devices such the Macbook Pro 2016/2017 (w/ Touchbar), Google Chromebook, Dell XPS 13, Surface 4 Pro, Cell Phone and other USB-C devices. 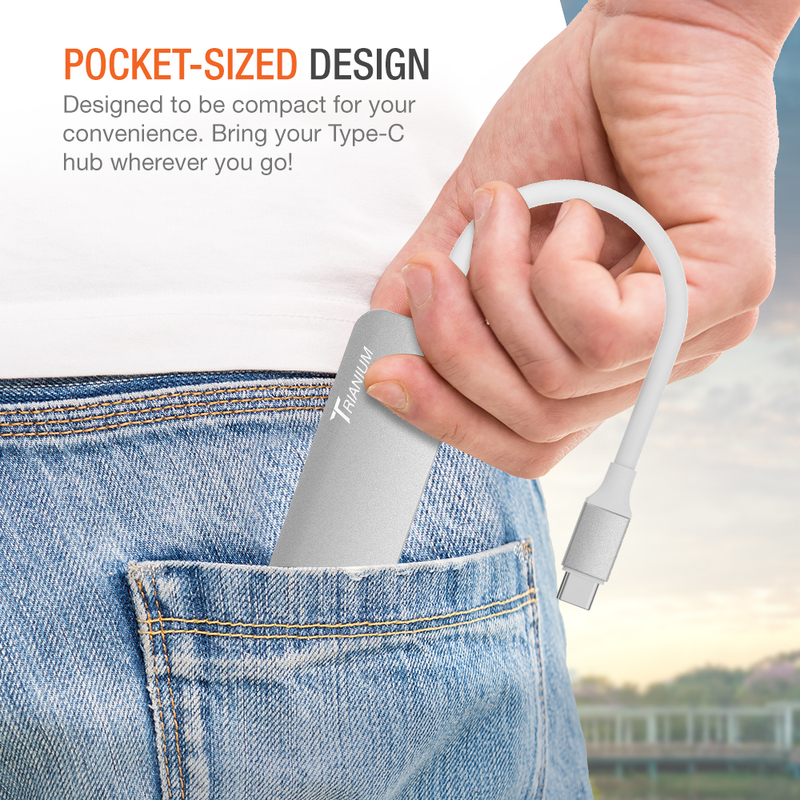 The compact and easy-to-store design of this hub makes it easy to take with you anywhere you go. 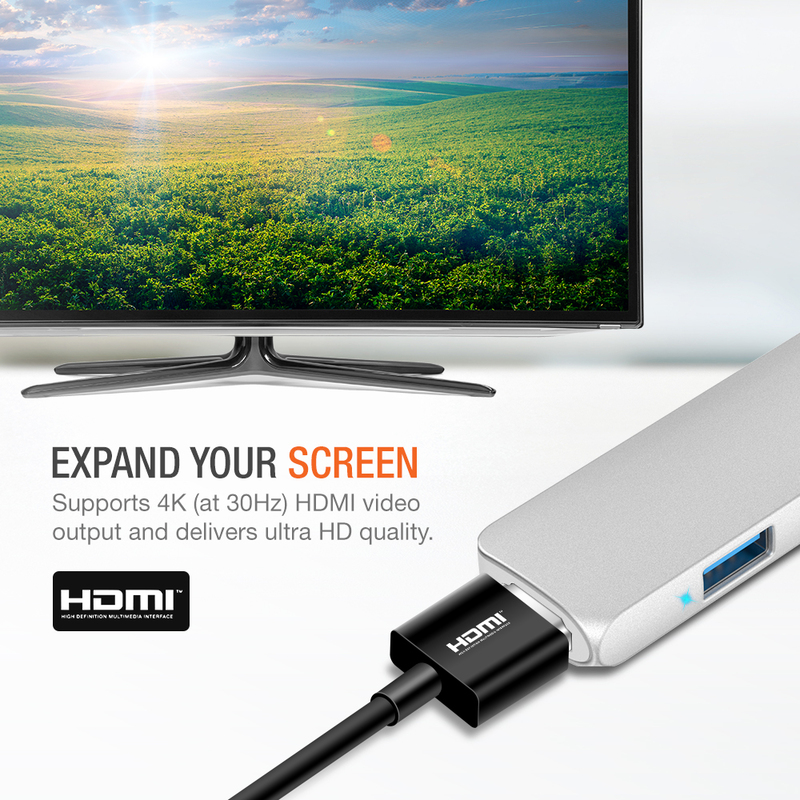 Just plug and play. It’s that simple! No additional installation or software necessary. 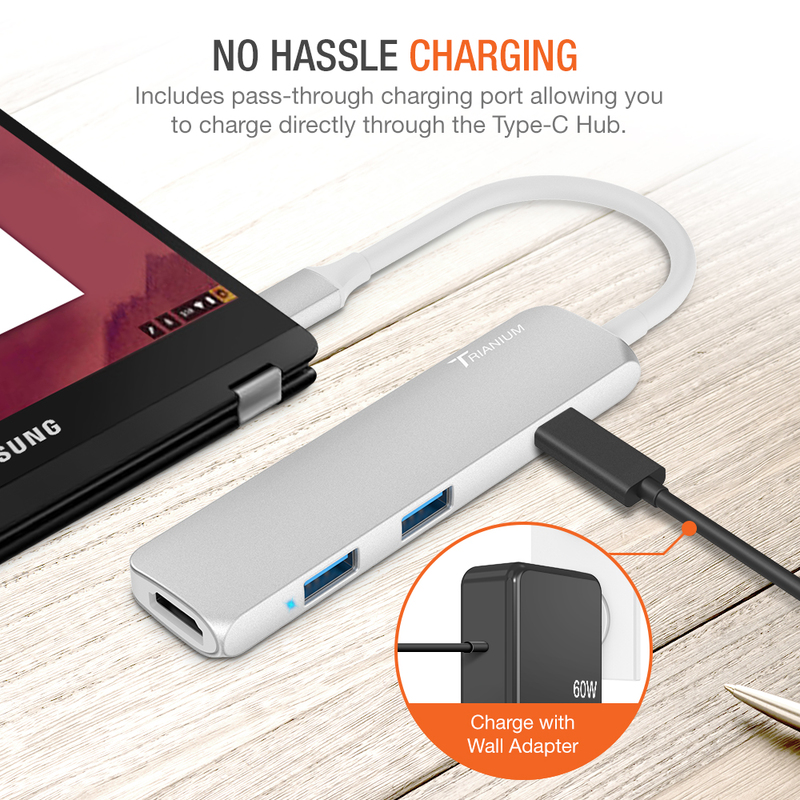 The included pass-through charging type c port, you can easily charge your computer without sacrificing your Type-C port.